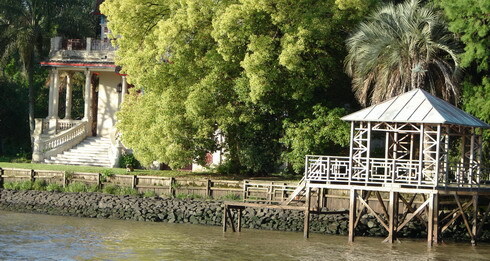 The private tour to the delta of Tigre is a beautiful experience with a couple of options I can tailor according to your tastes. It considers to get the train at Retiro station reach Tigre an hour and minutes later. This trip is an experience itself due to we departure from a Victorian station from 1909 which was all delivered in pieces since Liverpool by the british. Facing the station you can appreciate the "Tower of the British" (Torre de los Ingleses), a red brick cute tower, built by the British community in Argentina as a present to celebrate our centennial of Independence. We can consider they were also selfcelebreting the extraordinary proffits that they were obtaining their businesses here. On the trip, you will enjoy the view of the horse race truck and you can check how the nature of the different neighborhoods goes changing the landscape. Once you arrive to Tigre (we never left this huge Buenos Aires city, but the Federal District) you will reach the always clean, nice and green Tigre county (Part of the Greater Buenos Aires). This is the only place in the Country where you put your foot on the pedestrian line and the drivers stop (anyway don't try it! haha!). Crossing beautiful tidy gardens we will embark at the boat. We are going to sail during an hour, sourrounding one of the islands of Tigre, checking the "aquatic life" of the inhabitants there: No roads, no streets, no cars, just rivers, channels and streams, colective boats (instead of buses), garbage boat, supermaket boat, and whatever is supposed to be on wheels will appear floating. We are going to see the petite church of Lujan Chapel and the Sarmiento's Museum, which keeps a replica of this Mr Sarmiento inside of a huge cristal box. (Sarmiento was a prolific President of our Country, fascinated with the education and developement, he introduced the first fruit-trees farms and the industry of wicket into the Tigre. Also, he moved the rowing clubs from the Boca harbor to here). (We can visit together their houses and mausoleums in my Aristocratour in Buenos Aires). Doin g the boulevard on the way, you wil imagine how it looks on the weekends when it became crowded of hundreds of argentinean families (mine included) doing mates and picnic. We finish our exploring at Tigre visiting the Fruit's Market, which almost doesn't sell fruits, but it is pintoresque with all those stands of homemade candles, wicket furnitures and greenhouses. But this is not all! We are now tripping with other train to San Isidro, an old farm town that was absorbed by the growing of Buenos Aires. Originally a farming area, today is catholic-conservative town that keeps its colonial looking, much more than San Telmo. We will visit the neo-gotic cathedral and we are going to walk arround, across streets that seems to be escaped from the 18th Century. Finally, we will return by the first line or other train that goes crossing beautiful neighborhoods to reach again Retiro Station. This will deppend on the trains schedule which, is...let's define as "volatile"
In this private tour to Tigre option, instead of get the touristic boat, we get a standar one, a colective bus and we leave at the Sarmiento's Museum, to walk a inside of the island. This is such an amazing but safe experience, walking between the small stream and the facade of the internal houses. You will get the real feeling of the place, sourrounded by a green roof of forest. We can cross fantastic high toy-brigdges over the stream. Silence is only broken by a few birds and our voices! It's an option to do a simple lunch there at nice forest restaurant, or to await the return to firm land. 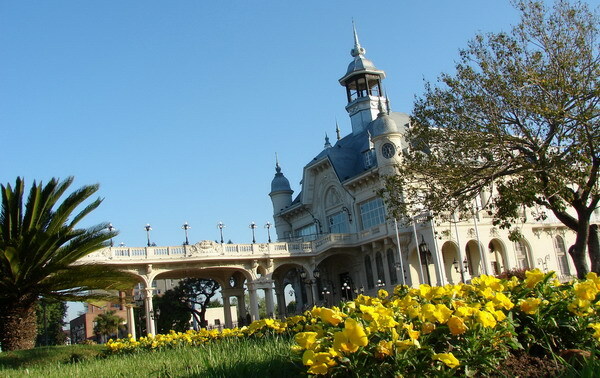 We have to wait for the colective bus (the time for wait deppends on the luck, from 20 to 40 minutes at the pier, so you have to consider it for your decision to take this tour) and once we return, deppending on the time we can explore San Isidro or just came back to Buenos Aires. In both tours, I will happy to share with you the explanation about the origins and nature of the Delta and its people, how it is still growing, how the people live in this unsual enviroment, about the "Sudestada" (Southern Wind) and much more. As you can see, my private tours to Tigre are unique and different, and of course we can tailor as in advance as on the go. We also have the option of travel there in private car or in a minivan if you are a huge group.